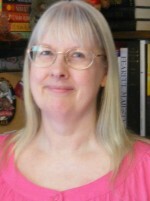 Most of the Maine Crime Writers have written about the things they must do to make their books feel believable. Paul, as we know, is a certified Maine Guide who also follows the doings of the Maine Warden Service closely. 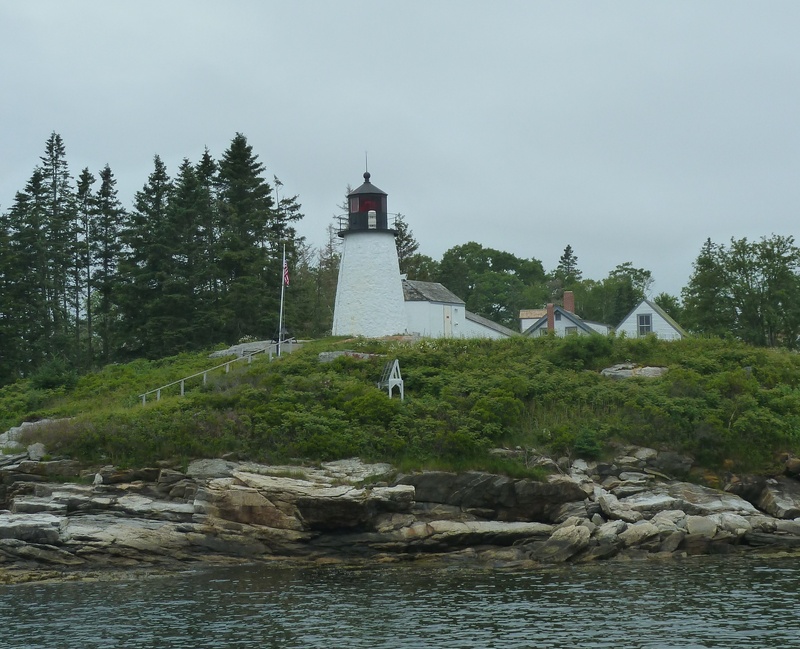 Paul https://mainecrimewriters.com/pauls-posts/maine-guide-tips. Gerry has wandered the woods where his Jack McMorrow books take place https://mainecrimewriters.com/gerrys-posts/a-book-begins-commence-the-wandering. 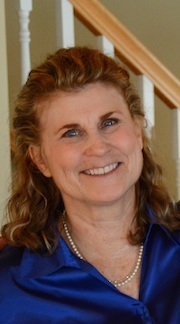 Jim has researched both schizophrenia https://mainecrimewriters.com/jims-posts/metamorphosis-ii-becoming-abby-quinn and post traumatic stress disorder https://mainecrimewriters.com/uncategorized/ptsd-a-frightening-possibility . And we know Kate will go to any lengths to make sure both her true crime books and her police procedurals are accurate https://mainecrimewriters.com/uncategorized/the-other-tools-of-the-trade. 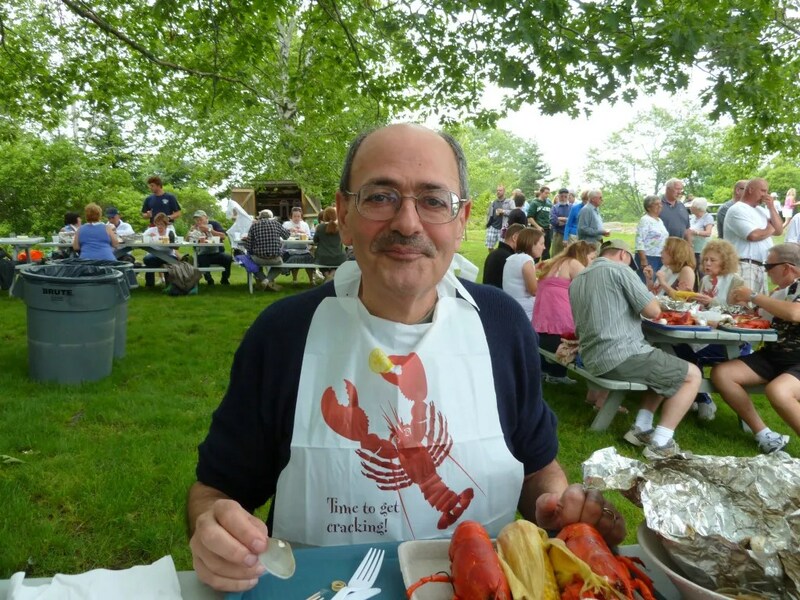 –taking harbor cruises and eating lots of lobsters and steamers. The series was “inspired” by an actual clambake. However, when I wrote the proposal, in October, I had never actually been on this excursion and it was too late in the year to go. My contract was signed in the winter, which I’m kind of glad about, since I had months to make up my family and my island and my clambake business, which are all, quite happily, distinct from the real one. But you can imagine how excited I was when this summer rolled around and I was actually able to make the trip. I signed my husband and myself up for the first clambake of the year, which is fantastic because the first novel in the series, CLAMMED UP, starts on the first day of the season. What’s the capacity of this boat? What kind of boat is it? How do you get the food out here? The wood? What happens to the trash? Where does your water come from? How long do you cook that? How many people work here? What would you do if you had a group of customers who were really causing problems? I kept telling everyone that the fictional clambake business in my books would be portrayed in a very positive light (except of course for all the killings) which the family members seemed to find more amusing than reassuring. I think it had honestly never occurred to them that someone could see a happy day spent with family and friends eating lobster in a negative light. It was also fantastic listening to the comments of the other diners and meeting the people who take the cruise. All and all, a hugely successful day. I’ll let the pictures tell the rest of the story. We passed the Burnt Island Light on the way to the island. Harbor porpoises gamboled next to the boat. 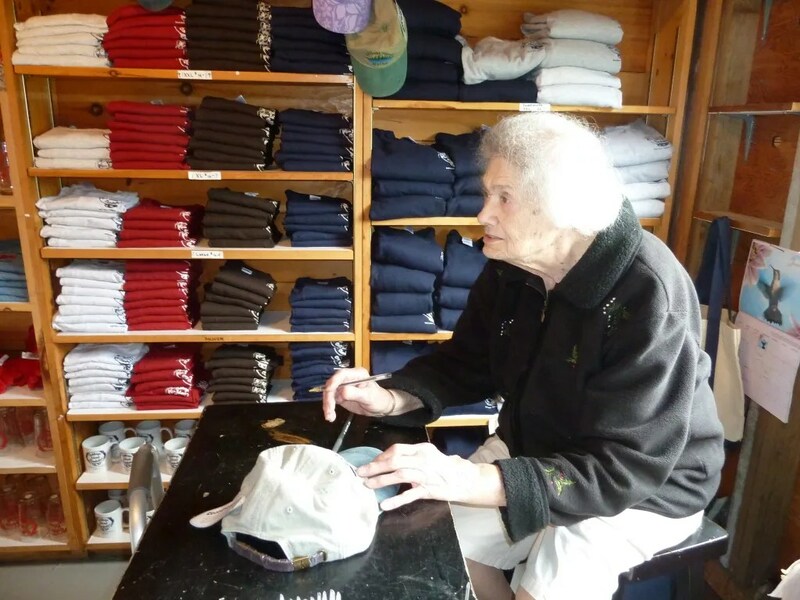 At 91, Mrs. Moore, the matriarch, still works in the little island gift shop. 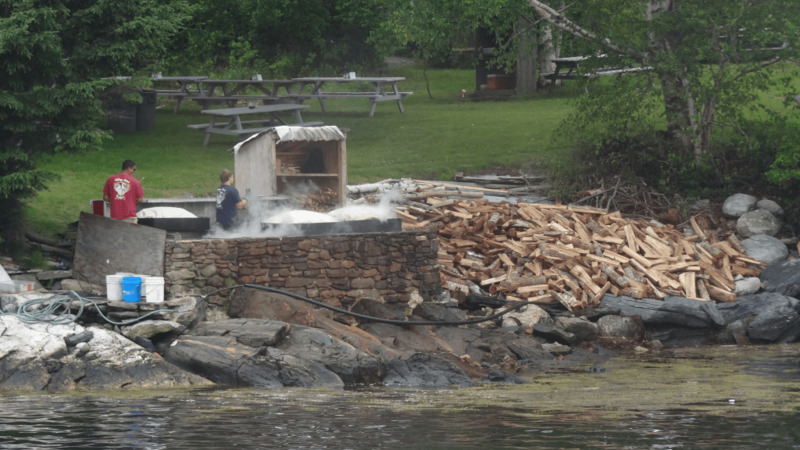 Can you imagine being the island cat at the clambake? My husband Bill is so supportive--anything for my art! 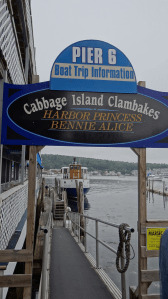 This entry was posted in Barb's Posts and tagged Barbara Ross, Boothbay Harbor, Burnt Island Light, cabbage island clambake, clammed up, Gerry Boyle, James Hayman, Kaitlyn Dunnett, Kate Flora, Lea Wait, maine clambake mysteries, Moore family, Paul Doiron, Sarah Graves. Bookmark the permalink. 11 Responses to Oh, the Sacrifices We Make for Art! 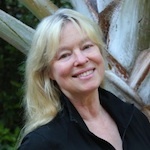 Barb – Now, why didn’t I think of that! I first went to one of those Cabbage Island bakes when I was in college, with a fellow Boothbay Playhouse employee, after the season was over. One of my daughters had her wedding reception there — and one of my nieces loved it so much she was married there! Really looking forward to reading your take on the place. It is surrounded by a lot of rocks …. and I suppose you could cover the body with rockweed and steam it. 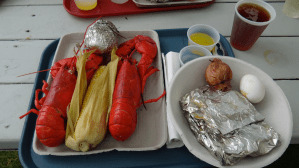 By the way — I’m sure you know — but for anyone who hasn’t been to a lobster or clam bake — the way you know your lobster, clams, potatoes, corn etc are done is … you also steam some eggs under that rockweed. When the eggs are hard boiled (hard steamed, actually …) then everything else is ready to eat. Mmmm. I think I’m overdue for some culinery research. Yes, I love the idea of the egg. Can’t wait for you to read it, too! Thelma–when I saw the island cat, circulating casually among the diners, all I could think was–that has got to be the life! Well, if it makes you feel any better, Alice, New Mexico is on my bucket list. I’ve only been in the state for business, never pleasure and I aim to change that one day. That looks like research that I could get into! I’ll bet you didn’t have to ask Bill twice to go along with you. So true, Ang. Though Bill’s book is set in the North End of Boston, and I did get to go to a feast….so quid pro quo. 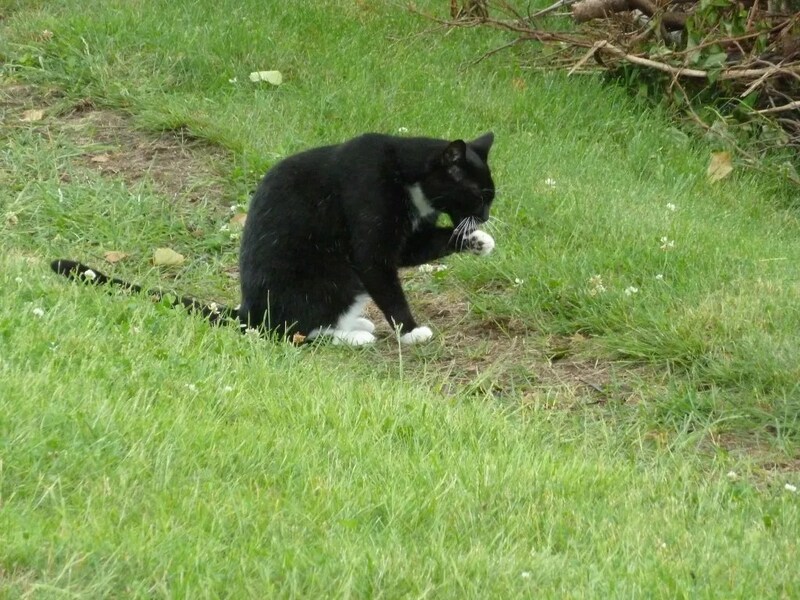 Great photos and blog, Barb! Isn’t research tough!